Do you feel like your hair color fades and loses its shine shortly after you have it done? 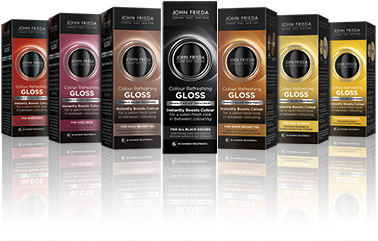 John Frieda claims their Colour Refreshing Gloss can correct the appearance of dull, washed out color. 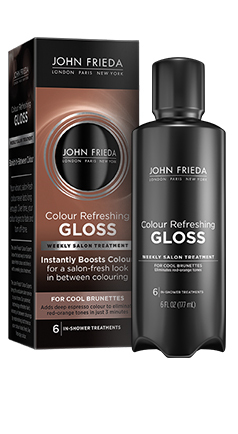 John Frieda claims their Colour Refreshing Gloss restores vibrancy and tonality between coloring, while counteracting fading, neutralizing color change, correcting the appearance of dull, washed out color. They say unlike permanent color treatments, Colour Refreshing Gloss revives shades with a gentle and non-damaging process. Mild cosmetic dyes are used in conjunction with their patented delivery system which allows the dyes to actually penetrate the hair shaft. This allows for even color distribution and intense shine. Colour Refreshing Gloss is designed to add a hint of color and shine to refresh hair color. It will not lighten hair color. Start with shampoo and conditioner. Squeeze excess water out of hair. Dispense a quarter-sized amount of product into hand and spread from root through entire length of hair. 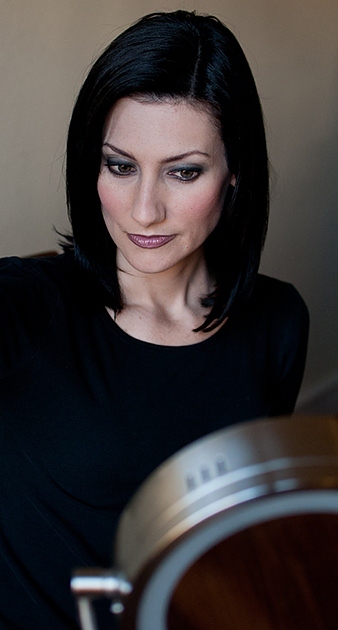 Repeat process 3-5 times to ensure middle to ends of hair are evenly saturated with gloss. Wash hands with soap. Leave gloss on for at least 3 minutes, then rinse. Style as usual. Color results intensify over time. Please note, Colour Refreshing Gloss does not contain peroxide and cannot lighten hair color. Therefore, it is not a meant as a replacement for permanent color. Water, Propylene Carbonate, Alcohol Denat., Citric Acid, Xanthan Gum, Dimethicone, Fragrance, Sodium Hydroxide, Dimethiconol, Ext. Violet 2, Orange 4, Yellow 10, Malic Acid, Methylchloroisothiazolinone, Methylisothiazolinone. I found that once I started coloring my hair it became a constant battle to keep it looking shiny and fresh. I always love the way my hair looks for the first week or two after I get it colored, but then it starts to look flat and the color isn’t as bold as it was initially. When I discovered John Frieda’s Colour Refreshing Gloss in the hair color aisle, I thought I’ve got to try this product and see if it can get me through to my next color appointment. I’m sad to report that this Colour Refreshing Gloss did not live up to any of its claims. John Frieda says that will you see an increase in shine and texture. Nope. Didn’t see any shine. In fact, I actually thought my hair seemed drier each time I used this gloss. Within three uses John Frieda says that you will see color benefits. Nope. I didn’t see any change in my color what so ever. 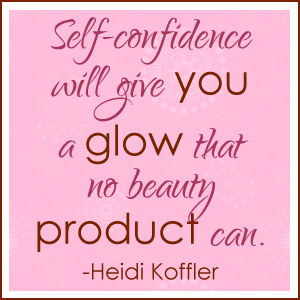 Bottom line – I was very disappointed with John Frieda’s Colour Refreshing Gloss. Pretty Proof gives John Frieda’s Colour Refreshing Gloss a 1 out of 5 crowns rating because this product did not live up to any of its claims.